It doesn’t matter where you’re hiking, you’ll likely be outside 100% of the day. And when you’re outside, it’s almost certain that you’ll be exposed to sunlight. Sunburn is not a great way to start a trip, as it can leave you tossing and turning uncomfortably in your tent, instead of getting some much-needed sleep for the next day. Prevention – The best way to prevent sunburn is to wear long clothing, a hat, and sunscreen on any exposed skin. But it’s practically impossible to wear that much clothing when it’s 90º outside. So if you’re wearing less layers, make sure to apply and reapply sunscreen often, and opt for clothes that come with UV protection. Treatment – Sometimes, sunburn is inevitable. That’s why it’s a good idea to pack some aloe vera, or lotion containing aloe vera to help with the painful aftermath. Make sure to transfer it from its large, spillable original container to a smaller travel-sized capsule that you can seal up tight. No matter where you go, or how hard you try, it seems like blisters always happen. And even though they’re small, they can put a major damper on your trip, because well, they hurt! Prevention – Before you leave, make sure you have properly fitting hiking boots and performance socks. Performance socks fit tight to the skin and wick away moisture, reducing your chances of blisters. Keep your feet as dry as possible, and when you feel a blister starting, apply a layer of moleskin and athletic tape to keep it from getting worse. Treatment – If it’s too late and you’ve gotten back to camp and are sporting some pretty terrible blisters, there’s a couple of things you should do. Drain the damaged area, and then apply an antibiotic ointment. Put a Band-aid on it for the night, but make sure to tape over it with athletic tape in the morning before you hit the trails again. Another not-so-lovely side effect of all the time spent in the great outdoors would be your standard unfriendly wildlife, namely bugs. There’s all kinds of them: ticks, flies, mosquitoes, bees, the list goes on, but it’s important to protect yourself from them as best you can while you’re out there. Prevention – Thanks to modern technology, there’s all kinds of clothing now that contains insect repellent, and you can always pick up your favorite spray-version of insect repellent at a camping or hiking store. It’s also good to wear longer clothing, and if necessary, a head net. Treatment – Bugs are invasive, and it’s really hard to prevent every single bug bite on the trail. If you do get bitten or stung, make sure you have some calamine lotion handy to stop itching. In the event that you have a tick on you, either pull it out as close to the head as possible, or pour a dot of soap over it, so that it starts to drown and let go of your skin. After you’ve gotten it out, kill the rascal and watch for any signs of lyme disease. If you’ve ever had Poison Ivy, Poison Sumac, or Poison Oak, you know you don’t want it again. It’s another really good way to make a perfectly wonderful trip unbearable, and if you’re overexposed to it, it can mean an immediate end to your hiking trip. Prevention – As with most situations, long clothing is a good way to avoid Poison Ivy. It’s also best to know what it looks like, so you don’t accidentally grab it or step on it without knowing. Treatment – If you do somehow end up stumbling upon a poison ivy patch, calamine lotion is a good remedy here, as is comfrey oil. Both will take a lot out of the itch. You should also wear long clothing over the affected area, so you don’t scratch and irritate the skin at night. Again, overexposure to any of these plants can be seriously harmful, so if you accidentally put some in the campfire, or have a major reaction to the plant, you should find an emergency station immediately. Is it really even hiking if you’re on a smooth, level trail? 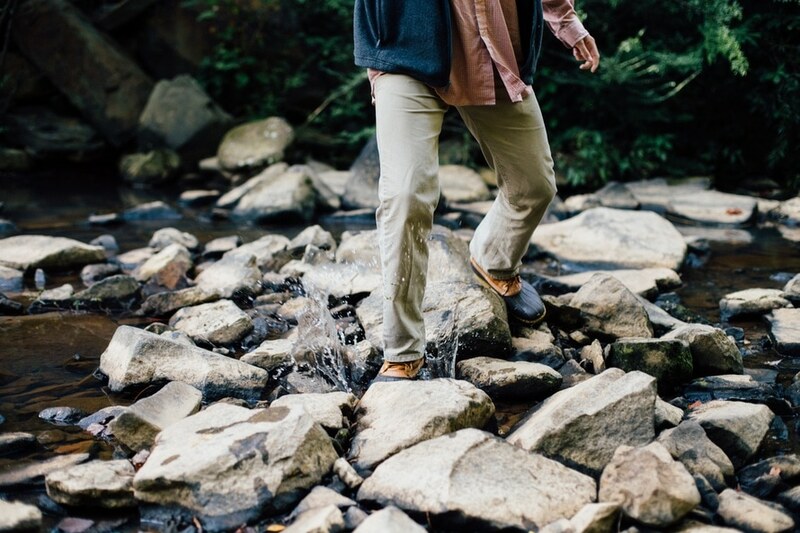 Rough paths are the name of the game, but sometimes uneven ground can lead to twisted or even sprained ankles. Prevention – Your best two defenses against twisted ankles are a well-fitted, supportive pair of hiking boots, and paying attention to where you’re walking. Sounds simple, but as most experienced hikers know, it’s not as easy to do as it sounds. Treatment – So, when you’re not looking where you’re going and you accidentally twist an ankle, it’s good to be prepared. Know how to make a proper brace, if it’s a bad twist, and always have some athletic tape or a wrap handy. If your ankle continues to swell, you might want to think about taking a rest day to put that foot up until swelling goes down a bit. Obviously, any hiking trip requires physical exertion, and you’re going to be tired by the time you get back to camp. But it’s important that you don’t cross the line from tired to medically exhausted. Prevention – Your body burns a ton of calories when you’re on the trail, and you don’t always actively think about drinking water if it’s not super hot out. It’s important to make sure that you are making a conscious effort to drink a lot of safe water, and that you pack a lot of calorie dense foods. Exhaustion is a combination of overtiredness, dehydration, and insufficient nutrition, so make sure you meet your body’s needs to avoid it. Treatment – If you become too exhausted, your best bet is to either call it good for the day and set up camp, or abandon trip altogether. If you opt to make camp, make sure you get as much fluid in you as possible, and try to eat something substantial. After a good night’s rest, you’ll probably feel a lot better. If it’s worse than that, there’s no harm in just wrapping up the trip for now. The outdoors will still be there when you’re feeling better! If you’re going through your packing list for your next hiking trip, and realized you’re missing something, stop on into Earth’s Edge, or visit our store online! We’ve got a great selection of name brand hiking equipment, clothing, and accessories, perfect for your weekend or weeklong trip!